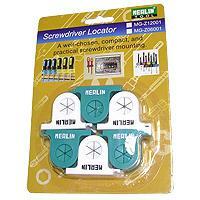 Features: Locate your screwdrivers easier and more effective. Enables to fit dia. 2mm-12mm of screwdrivers. Colorful devices help you to manage tools. Collect or exhibit the tools orderly. Packing: Blister on Card. 12pcs in blister on card is also available.